I have been saving my CL containers for several months now, knowing that I would eventually use them one day, so YAY! green felt, black felt, googly eyes, bolts, and a hot glue gun. Below you will see a tutorial collage with step by step pictures. (top left to bottom right) its really pretty basic, mainly cutting and hot gluing. then fill them up with your favorite treats! 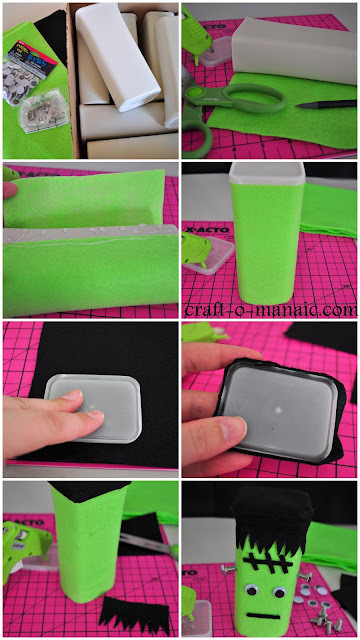 These containers were super easy and fun to make, not to mention in-expensive. 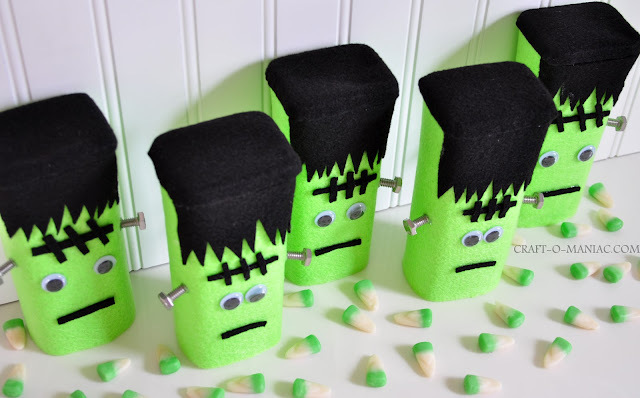 They would be great for your child’s pre-school/school Halloween party, or for anyone that you would like to give to. Oh’ and your kids will love them, my kids sure love do! super cute! good way to recycle! Oh my stars! 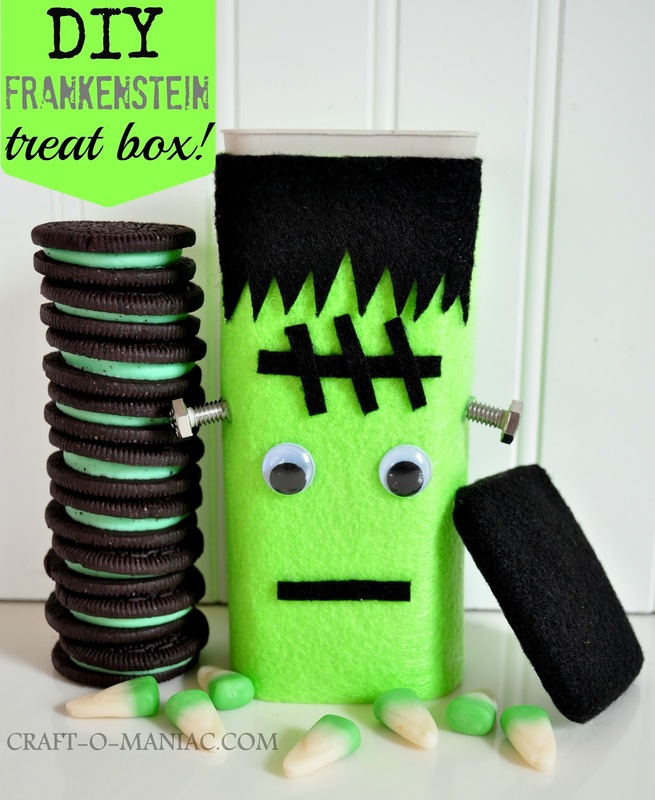 I love your Frankie treat boxes!!!! Looks like I best get some crystal lite stat! So adorable! 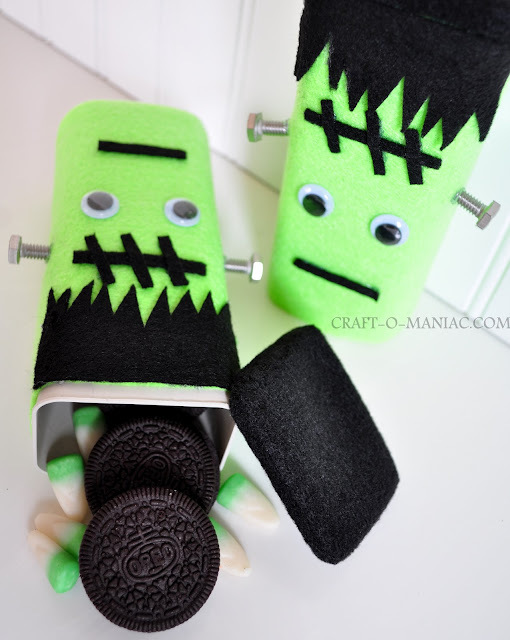 (can you call Frankenstein adorable?) I was just looking at a Crystal Light container yesterday and wondering what I could do with it. Thank for the cute idea. Yes! I hold on to CL containers for no apparent reason. Now I have one! Thanks so much! These are too cute! Love ’em! So, so cute and such a fun idea!! You are genius.